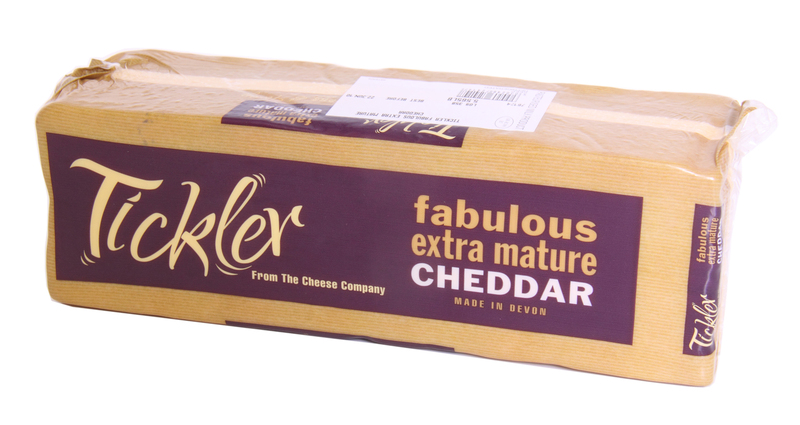 Tickler Extra Mature Cheddar is made by the multi-award winning Taw Valley Creamery, located in quaint town of North Tawton in the heart of the beautiful Devon countryside. The famous River Taw and its tributaries preside over the lush Devon pasturelands where herds of dairy cattle dot the landscape and provide the fresh, rich milk for Taw Valley cheeses. Using traditional cultures and a wealth of cheese-making expertise, Tickler is formed in 40 pound blocks before being patiently matured for a full 18 months. When ripening is complete, Tickler takes on such a tantalizing depth of tangy-sweet, nutty flavor that it titillates the tongue and truly makes taste buds tingle. Application: Tickler’s distinctive, mature cheddar taste lends itself to a wide range of indulgences from: snacking and entertaining, to slicing or grilling for sandwiches, shredding into soups, rice, potato, egg and pasta or salads dishes, or baking in savories such as cheese straws. Tickler’s loaf shape makes it ideal for delis, restaurants and catering. Pairing: A strong ale really balances Tickler's nutty sweetness. For a wine, an oaky Chardonnay brings out the mellowness in the cheese and the fruitiness of the wine. 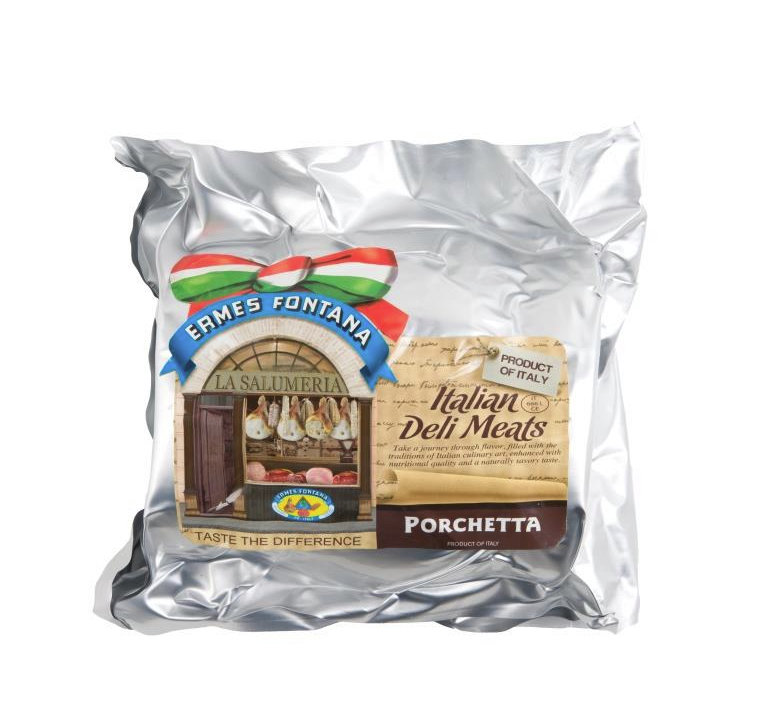 Situated at the foot of the Apennine Mountains in Emilia Romagna- known as the Italian Food Valley for the region’s abundance of delicious specialties, Ermes Fontana is world renowned for their superbly made delicatessen meats. Porchetta has its roots in traditional central and southern Italian kitchens. It is made from two pork loins wrapped in defatted belly and delectably flavored with a blend of aromatic herbs and wine. After a careful roasting process, the mouth-watering flavor is savory, yet delicate.